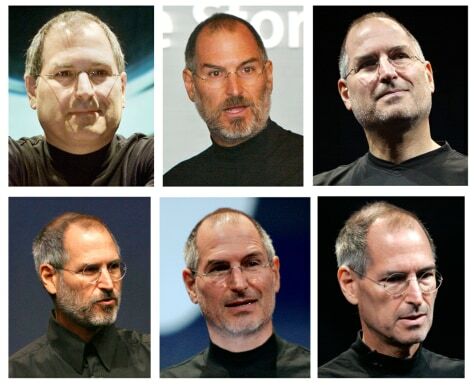 Apple CEO Steve Jobs is shown in this combination of file photographs. Top row, from left, shows Jobs in July 2000, November 2003 and September 2005. Bottom row, from left, shows September 2006, January 2007 and September 2008. Jobs said Wednesday he will take a medical leave of absence until the end of June because his health problems are "more complex" than he had thought.